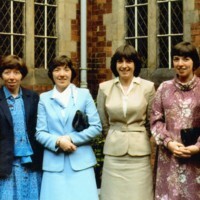 Six of us McCloskey's taken at Convent of Mercy, Crumlin Road on my First Profession Day. 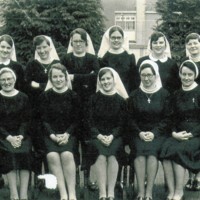 A picture of Rosemary McCloskey with five of her sisters taken on the day of her First Profession. 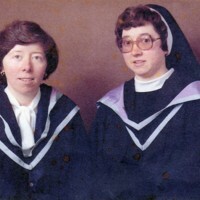 Cecilia and Rosemary McCloskey on Rosemary's graduate day. 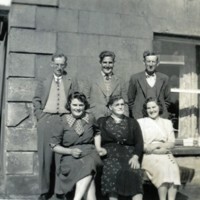 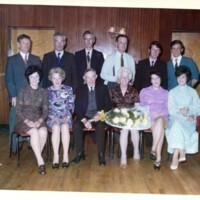 A photo of Maura Corr with her parents and siblings on the occasion of her parents' wedding anniversary. 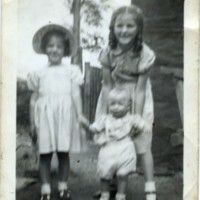 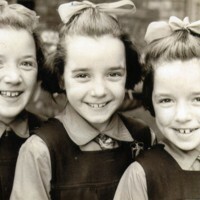 A photo of Maura Corr with two of her siblings. 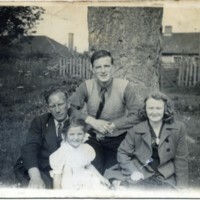 A photo from Maura Corr's childhood of members of her family in their garden.